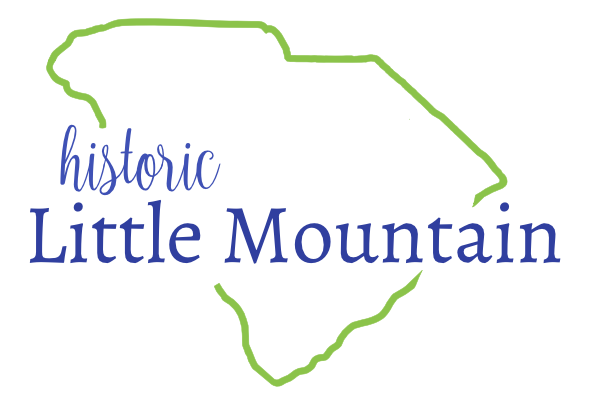 The Little Mountain Town Council met in regular session on Tuesday, September 18, 2018. The meeting was moved from the 2nd Tuesday to accommodate a change to the town clerk’s schedule. Present for the meeting were Mayor Jana Jayroe, Council Members Jeff Jefcoat, Mary Frick, Charles Shealy and Melvin Bowers. Mayor Jayroe called the meeting to order at 6:30 pm and Shealy gave the invocation. Council reviewed the meeting minutes of August 2018. A spelling correction was noted. A motion to accept the meeting with the correction was made by Jefcoat and seconded by Shealy. The motion carried. Council reviewed the financial report for August 2018. A motion to accept the report as information was made by Frick and seconded by Bowers. The motion carried. Mayor Jayroe welcomed Pastor Chuck McAlister to the meeting. Mr. McAlister was accompanied by his wife and two church members. McAlister addressed the Council regarding a proposal for the Koon property within the town limits located on Highway 76. McAlister has someone that is interested in financing the purchase of the property. McAlister, along with his church would like to renovate the property as a place where veterans would live and have an opportunity to hunt. McAlister questioned the town ordinance regarding the discharge of a firearm within the town limits and commented that he felt the ordinance was not Constitutional. He also commented that he felt the veterans were unwelcome in the town. Mayor Jayroe commented that many municipalities have similar ordinances and that the town was too densely populated to allow for firearms to be discharged unless it was for self or property protection. She also commented that the town would welcome veterans, but she felt strongly about not allowing the discharge of firearms within the town limits except under the circumstances sited. Council Member Bowers asked McAlister how many of the sixty -three (63) acres would be needed for hunting to which McAlister stated that all sixty-three acres would be used. McAlister asked about the shooting range nearby. Jayroe stated that the shooting range was not within the limits of the town. Council members suggested looking at parcels of land that would be better suited for the purposes of hunting. There has been additional interest in the property for which a potential zoning change may be needed. Council would review the uses and suggested zoning changes if needed. Mayor Jayroe spoke about the possibility of applying for a special grant to have a master plan completed for the Reunion Park. Council has discussed numerous times some uses for the additional lots that were purchased. Jayroe would like to apply for a $25,000 grant for which the town would have a 5% match. Council agreed to move forward. Jayroe stated that a special meeting would need to be held to discuss and vote on the grant. Shealy commented that the “new” stage needed a new roof. Also, one of the catch basins had been hit by a car and knocked off. Shealy marked the basin with caution tape until the repair can be made. Council discussed gates for Rocky Branch. Shealy noted that even with the barricades at the road, he had seen a truck parked at the trail. Shealy would like to see security cameras placed and Frick commented that he is trying to get someone who can spread the remaining surface material. Jefcoat asked Council to consider hiring someone that could patrol the area. Jayroe stated that Council would have to research that regarding the town’s liability. Jefcoat gave an updated listing of street lights that need repair. Council discussed traffic concerns within the town. Jayroe would like to invite Representative Rick Martin to a future meeting to discuss concerns with him. Jayroe agreed with an earlier statement that moving the traffic on Hwy 202 away from walking pedestrians would be the best option. Jefcoat would like to see flashing speed control devices in town. No action was taken. The issues with feeding cats in the park was discussed. Jayroe will call Ms. Brown. Jayroe will call Gerti Lake to discuss the repair of the ballfield. Shealy commented that numerous street signs were down and/or falling. He will contact the County. Council acknowledged Mr. Frank Baston. Mr. Baston lives on Church Street and wanted to attend a meeting. Council thanked him for coming. With no further business, Council adjourned at 7:55 pm. The next meeting is scheduled for October 9, 2018.